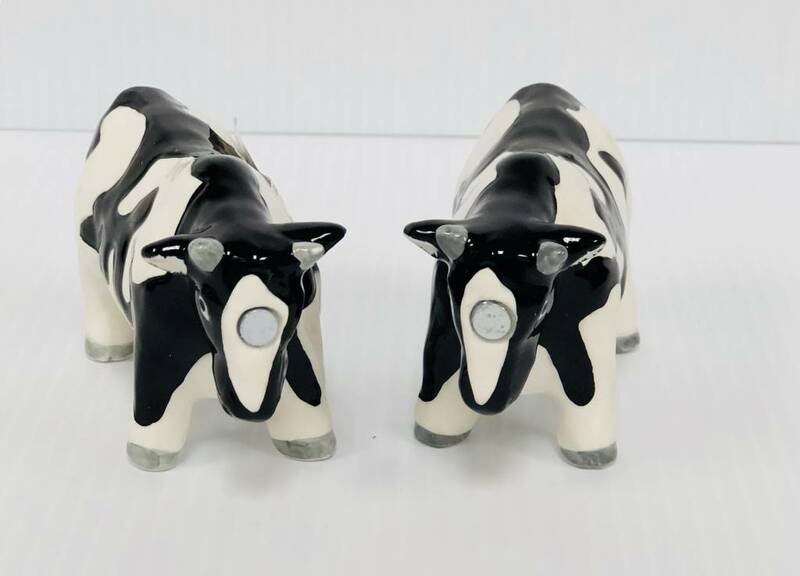 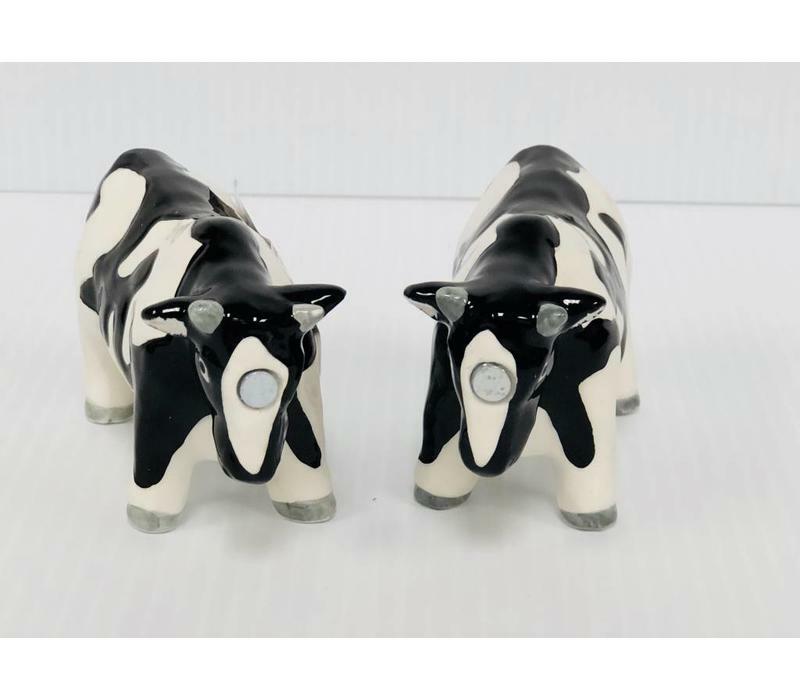 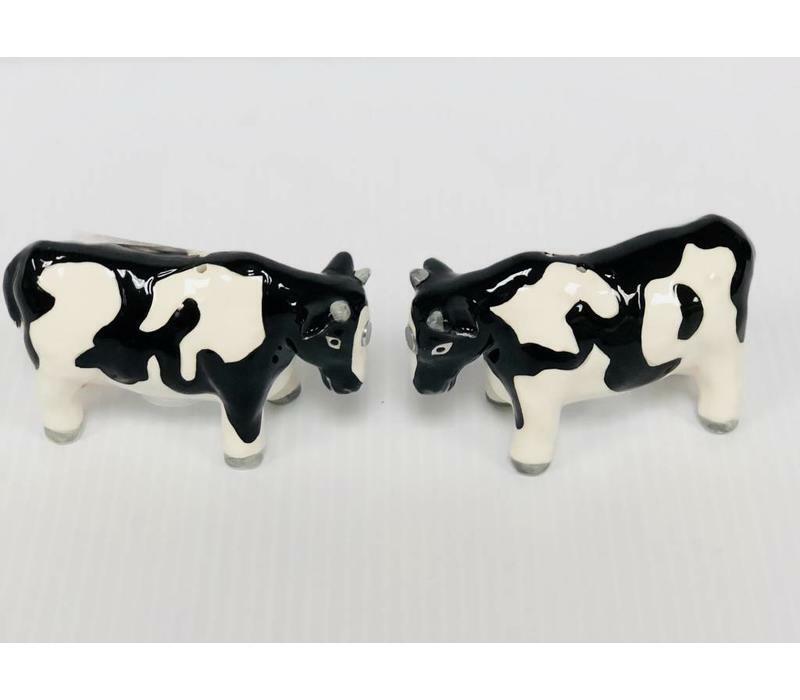 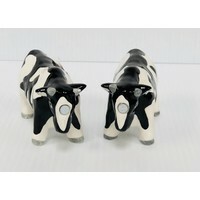 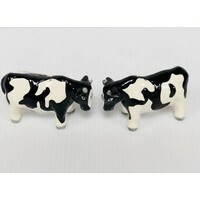 Cute Ceramic Salt and Pepper shakers with Magnetic brows so they can display like they're butting heads! Each is 3.5" long and stand just slightly over 2' tall. 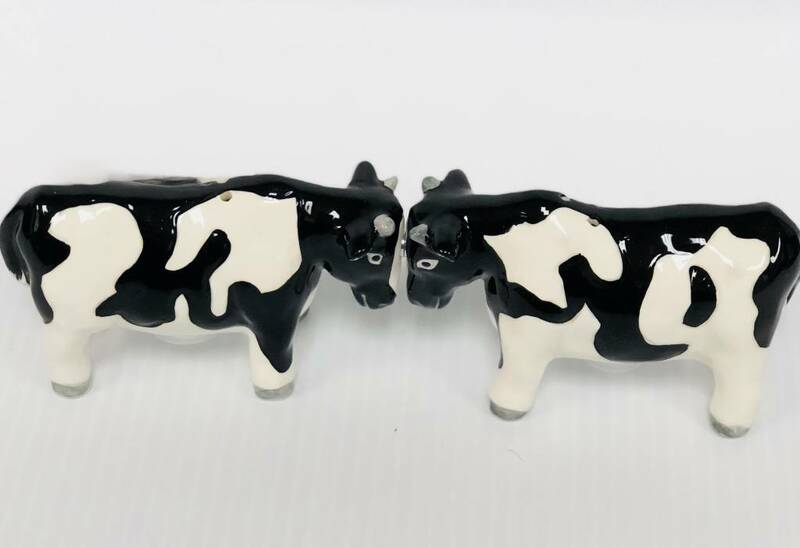 Nice closing or housewarming gift. 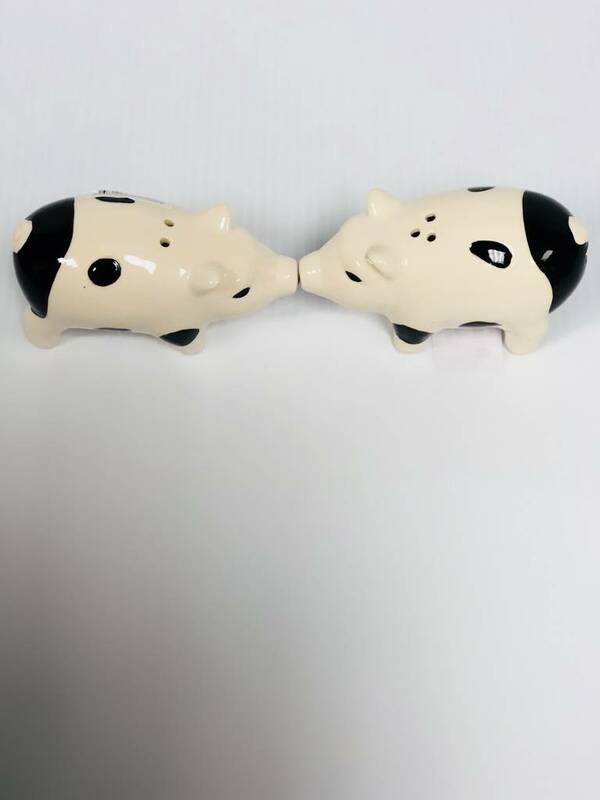 Fun closing gift idea for clients or friends...the noses are magnetic so they can stand attached at the snoot as if they were kissing. 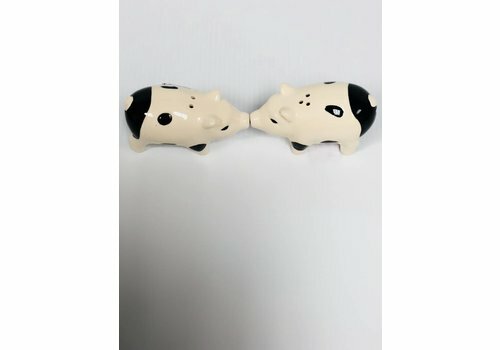 Ceramic 4" long and stand just a hair above 2'' tall.